Creative reuse, or what some people call “repurposing,” is common practice among the ‘oily rag’ crowd. Seeing a practical and/or beautiful use for something in a second life exhibits a form of thinking that is simultaneously creative, ecological, and fiscally responsible. 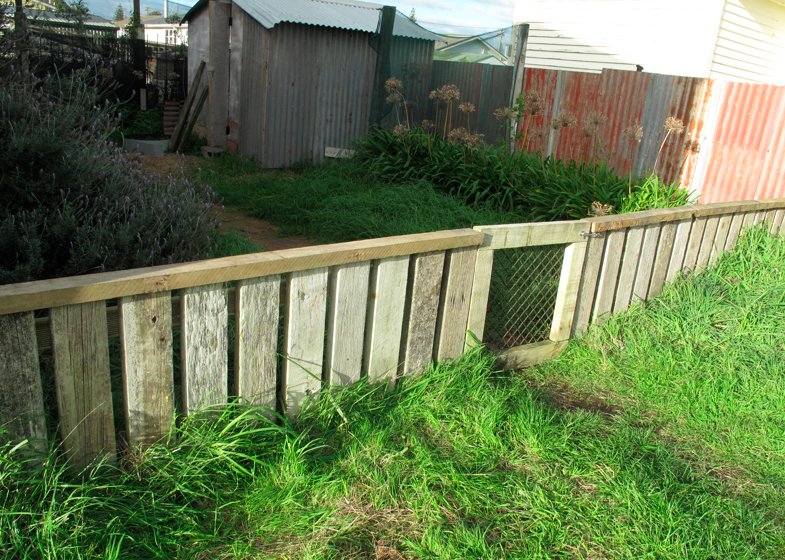 … now a beautiful, functional fence. My talented wife spends many hours on a website called Pinterest, where other talented wives post digital images of their ingenuity and then feed off of the ingenuity of others. This feeding frenzy of creativity is called ‘pinning’ and probably also ‘re-pinning.’ I don’t know much about the site, except: 1) it eats free time; 2) there are some amazing photos from re-purposers far more creative and talented than us. Nonetheless, we do our best to make things for our home that are functional, beautiful, and easy on the planet. 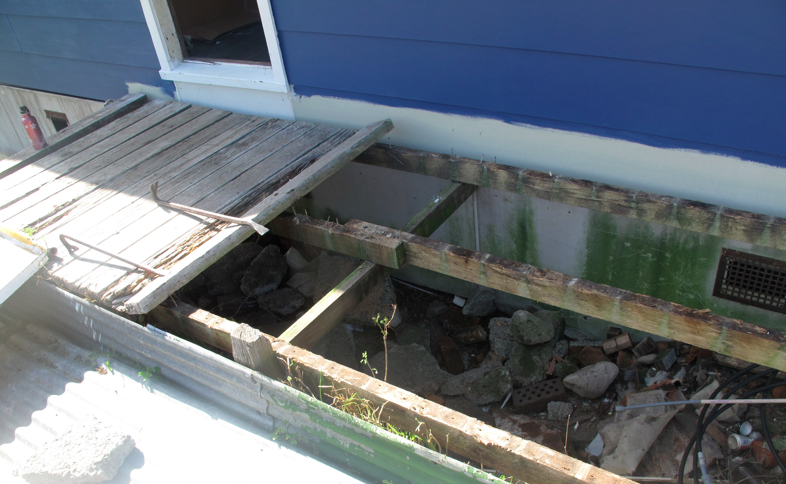 One example is the pelmets I made from rusticated weatherboards that we removed while re-cladding. Turning the old, weathered cladding into an attractive interior feature required a lot of scraping and sanding, priming and painting, and then some more painting. This is what they do not show on Pinterest! I’ve written about our pelmets before so I’ll put this briefly. 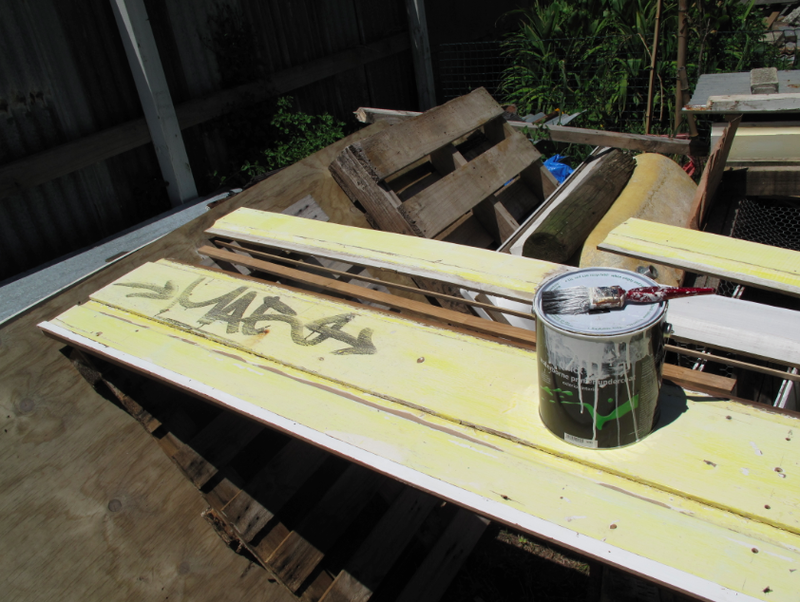 I inverted the weatherboards so that the scallop was facing down (opposite of its orientation as exterior cladding), and ripped them lengthwise with a circular saw to suit the width for different rooms. 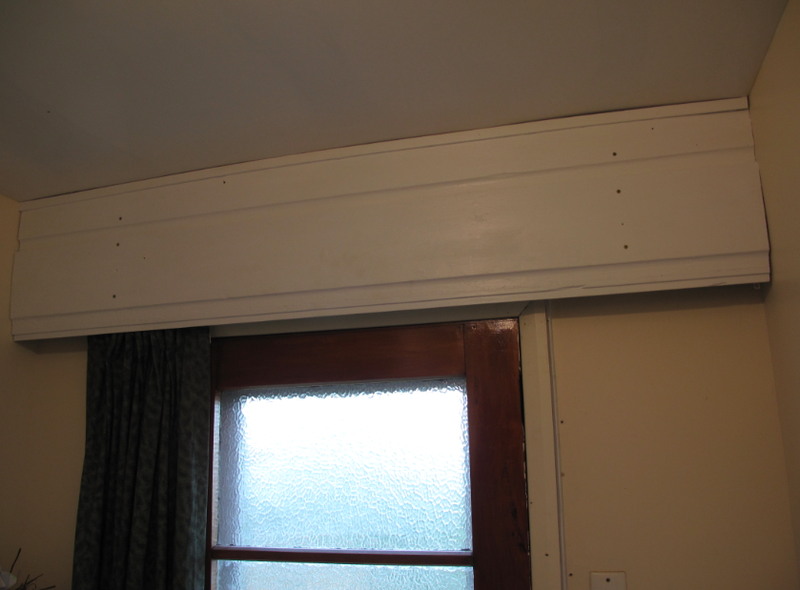 The photos show 1 and 1/3 weatherboards screwed together to make a tall pelmet reaching from the top of the door in our ‘mud room’ to the ceiling. Regardless of whether you like pelmets or not, you’ve got to admit this was a fine reuse of a demolition material on site. Perhaps our best example of such. 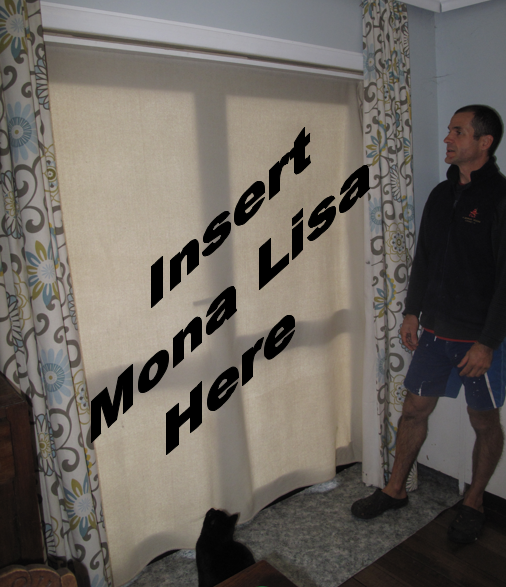 But judging from the two overenrolled window blanket workshops we ran last month, the humble but effective window blanket appears to be the most well-known of our eco-thrifty creations. Yet, as with anything humble but effective, it has it detractors. About a year ago – when I first wrote about window blankets in this column – someone at the Saturday market passed on a comment from someone else that went something like, “How many middle-class, middle aged, women are going to put blankets in their windows at home.” Judging from the number of middle-class, middle-aged women who came to our workshops, a fair number. Well kids, here’s your chance to combine these two perspectives into one great holiday programme at the Sarjeant Gallery! I have the pleasure to be working with art educator Andrea Gardner and artist Sue Cooke to run a free holiday programme for children ages 10 to 14 to make window blankets that are also works of art. The programme runs 24th-25th July, with other cool “Art Adventures with Recycled Materials” happening the 16th-18thas well as the 23rd (ages 7-12). The programme is inspired by Sue’s Paradise Project showing at the gallery, and funded by Horizons Regional Council. Let’s call it, “The Fun Plan.” Please ring Sietske at the Sarjeant to enroll.